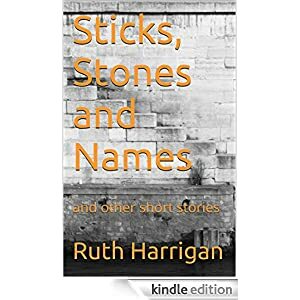 A new book of short stories on psychological themes is now available on amazon, entitled Sticks, Stones and Names. This collection of six short stories contains The Book Narrator, who spent his life recording audio books and now tells his own story – after he dies; One Percent about a truck driver who gets caught up in an accident he’ll never forget; and Concrete Messages about a young concrete mixer whose perspective on life changes due to a chance meeting. Sticks, Stones and Names is about a young girl’s realizations about her family; The Fly and the Old Man describes what happens when an old man can’t catch a fly and Too Late to Return describes the fate of a businessman when his unscrupulous employee gets canned. Teen Books Free is featuring my new book Inexplicable Mortality and other poems this week. It will be free for five days. I’d like to announce the publication of a new book of poems, entitled That Woman in the Wheelchair, available at amazon. This volume of poetry contains twenty years of writing, from the time I acquired my disability until the present. It was greatly shaped by feedback from readers at this blog, as well as many in the disability community. I’m publishing it for those who acquire disabilities or live with disability. When I first became disabled, I sought out books before I was fortunate enough to meet mentors in the disability community. Reading about others’ experiences, although I knew no two people had the same journey, helped me a great deal. I hope that making these poems available will help others.